This family-run Tenderloin restaurant is named after the owner’s grandmother, Tadelech Oda, better known as Tirumama (“the good mother”). The space is casual but inviting, brightened by vibrant red and green walls and colorful paintings. 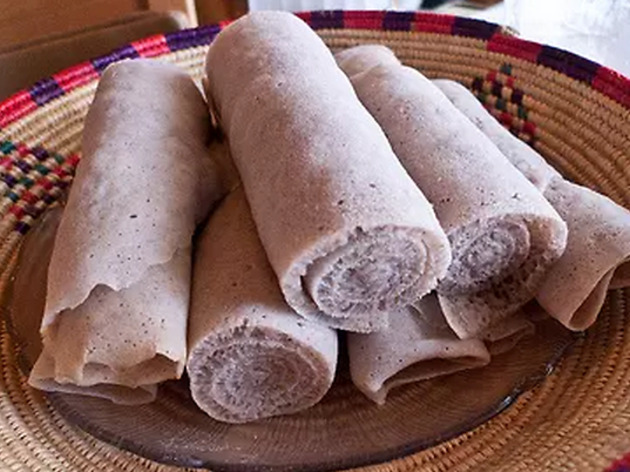 The spicy, flavorful dishes are made with organic ingredients shipped from Ethiopia—you can even watch them being simmered and sauteed in the open kitchen. 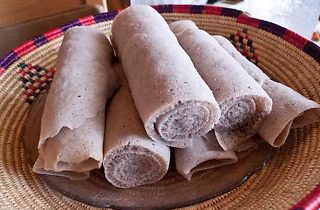 Try the wot, a fragrant meat stew ladled atop injera, or the kitfo sandwich, made with onion- and jalapeno-laden ground beef atop kinche, wheat, or sourdough. Even the lentils, flavored with ginger, garlic and onion, pack a punch.